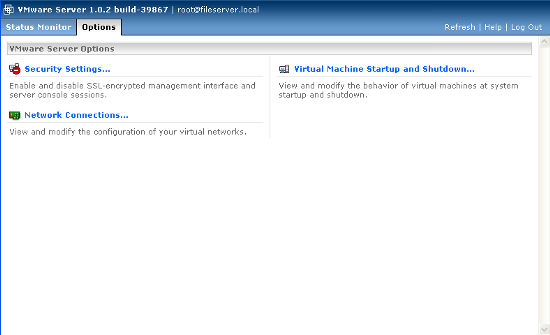 monitor the state of virtual machines and the VMware Server host on which they are running. 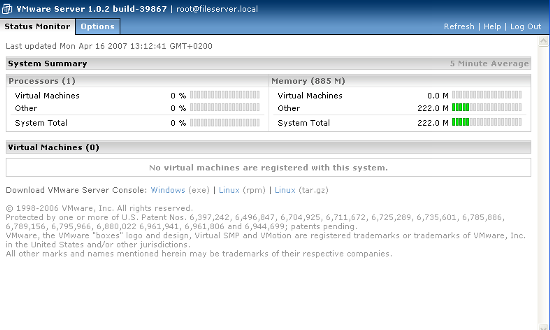 control (power on, suspend, resume, reset and power off) the virtual machines on that host. 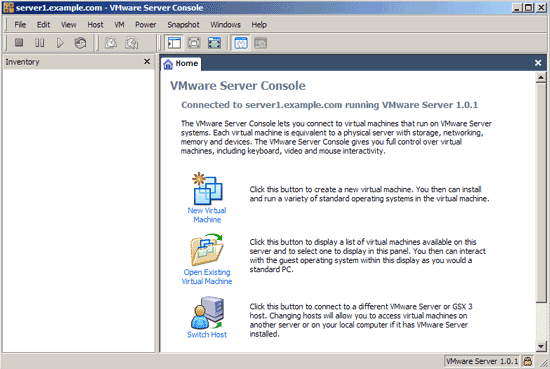 view details about each virtual machine, including system summary, hardware information, any connected users and a log of recent events. The VMware Management interface is now installed on your system. To login use the username root and the password of your root system user. To create new VM instances, use the VMware Server client package which is availabe as Linux and Windows GUI application. Login to your server with the IP address or hostname, the user root and the root password. Location and virtual machine name. The folder /var/vm that we created in the setup is preselected. Networking: If you want the virtual machine to be part of the same network than the server itself, select bridged networking. If you want to use a virtual NAT, select Network address translation. Enter the size of your virtual harddisk. I recommend to disable the option that creates the virtual harddisk in full size instantly, the harddisk will then grow with the data that you store inside up to the max. size you selected. After you finished the VM creation wizard, put the boot disk of the operating system you want to install in the CD / DVD drive of your server and start the VM. All trademarks belong to their respective owners. 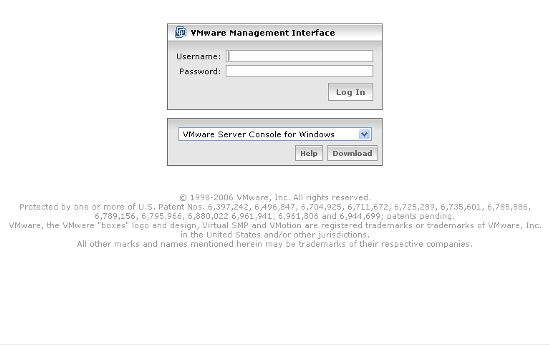 We thank VMware Inc. for the permission to write this Howto. I've got some stability problems with VMware's Console App. Old version gtklib included in VMware-Server fixed. if we have problems to connect remotely to vmware-server we need to install xinetd. 1. untar vmware server distribution. 2. run vmware-install.pl, put stuff where you like (i.e. /usr/local) if you don't like the defaults. use aptitude to install just the necessary libraries. other comments in this thread list the various libraries but the installer will tell you what is missing. 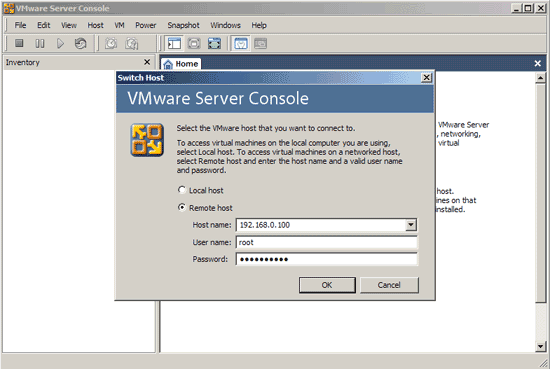 6. re-run the vmware-server installer, everything should work now. In the procedure it says you don't want to use the Etch system desktop. Will the above work if you do want to use it? STill pretty new to Linux. Especially Debian. I had a heck of a time getting vmware to install. Problem with headers. I found this site and gave it a shot. OMG!! Perfect. I feel like a Linux Pro already. Thanks HtF!